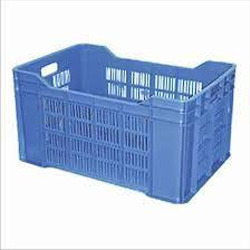 Abiding by the moral business norms, we are instrumental in presenting a quality assured 1500 Gram vegetable Plastic Crate. Founded in 2004, Vizier Promotions Private Limited is known as the foremost manufacturer and supplier of Freezy Stubby Cooler, Bomber Cooler, Kids Knee Pads, Slate Water Bottle, Mouse Pads, Neo Belts, Water Bottle Cooler, Plastic PE Bottle, Plastic Crate, Brand Promotions Gifts, Personalized Stubby Holders and many more products. Our products are extensively employed for numerous purposes. These products are developed under the strict direction of accomplished professionals employing the optimum grade material and advanced technology in compliance with the set universal standards. Moreover, the presented products are available in many specifications as per the exact necessities of patrons. Besides, our infrastructure unit is settled with advanced machines and tools that are vital for manufacturing the optimum quality products.